View Sydney Pictures of the Inner City Central Sights Photos of Sydney - Central City CBD. View Sydney Beaches Photos of Sydney Beaches. 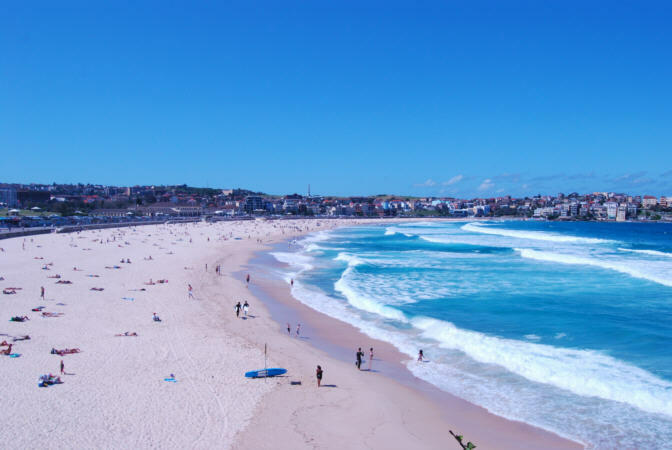 Photos of some the many beaches in Sydney, each beach with their own individual charm. Flora Australia - Flowers found in NSW. Let these flowers brighten your day. Of course, visitors to our state get to enjoy their fragrance. New South Wales Photos. Photos of flowers found in Australia, including Sydney parks and gardens and New South Wales National Parks. Sydney historical photos, many showing buildings that still exist today. Present day photos and Free desktop pictures and wallpaper backgrounds for personal use. Melbourne has been internationally recognised as the no.1 place to live numerous times. These photos show the places to visit and life in Melbourne Australia. About places in Australia to visit (with photos, maps and info) Australia Places to Visit. Visit The Blue Mountains to see the Three Sisters and spectacular views, colorful flora as well as the very colourful birdlife. The Blue Mountains National Park has lots of places to explore, including the Zig Zag Railway, while the villages dotting the mountains have a good collection of restaurants and cafes to try. Bed and Breakfasts are popular here, as well as the historical hotels dating back to the beginnings of the last century. 1 hour west of the Sydney City Centre. See more on the Blue Mountains NSW. For more information on New South Wales, see NSW Tourist Guide - Sydney Getaways.